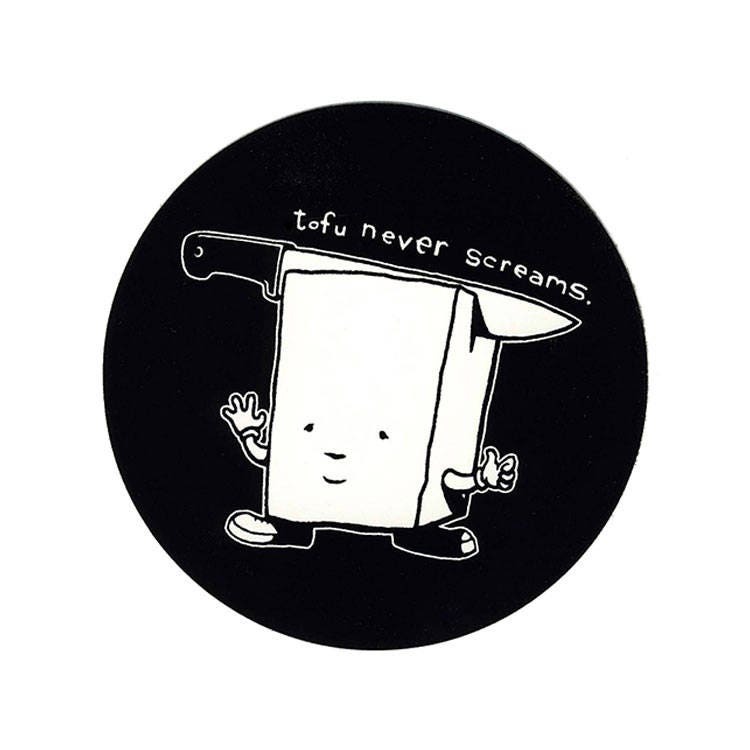 Screen printed sticker on durable, weather-proof vinyl with waterproof ink. 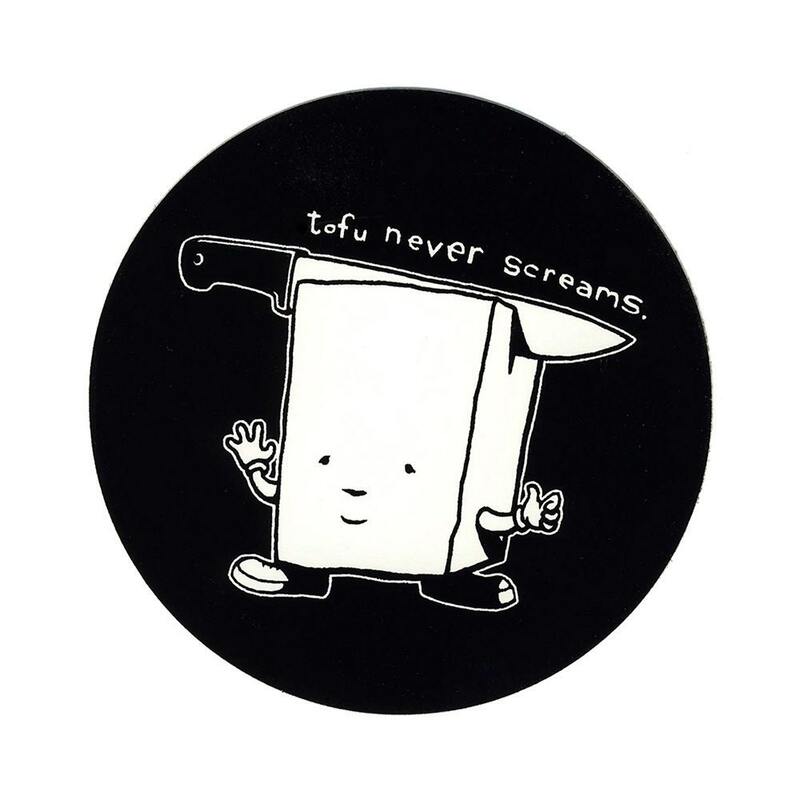 This is our new and improved, much larger Tofu Never Screams sticker! It’s a shiny, round, 3.5 inch (8.89 cm) diameter sticker that looks awesome. Looks just like it did on the screen. Prompt communication with hungryknife. Thank you! !